Owl are beautiful but I’m not really a typical owl lover. They terrified me. I’m scared and my phobia peaked to see their big wide eyes and sharp talons, My feelings for them bloomed and developed very slowly because they don’t have the social behavior like my pet dogs and cats. They were even associated with evil spirits. This reputation probably comes from their haunting calls and silent flight. They even eat the little beautiful birds that frequent my backyard but, still something really adorable about them. 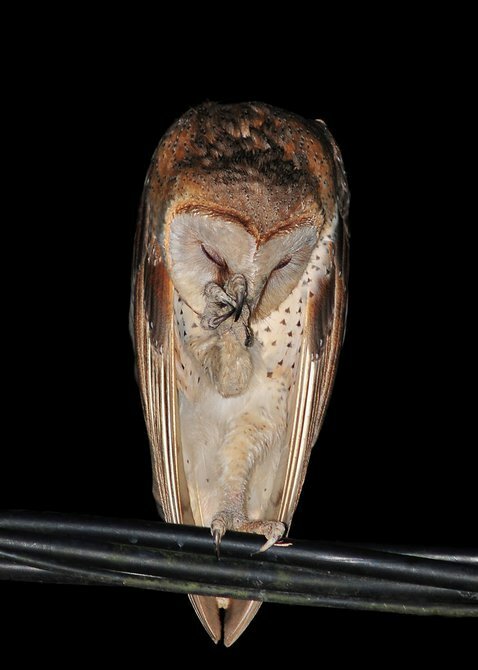 In fact, until recently, photographs of owls from these 3 crews piqued my curiosity and I soon became fully enamored of these birds. I’m not a scientist, ornithologist or a zoologist. No matter what role we played in your minds, We all have the same thing in common. We are all interested in the study of life. Three young nature photographers took the shots to capture the moment that defines the subject. (From left ) Fadhil Jumiran, Muhammad Omar and Aizat Rosli: These 3 owl crews will take you into the woods to call owls for sightings. There was an action and good atmosphere in the middle of the night to shoot and getting the best shot, this is what it is all about. 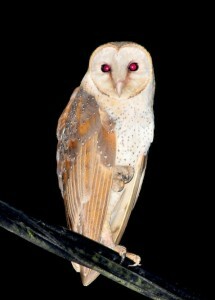 The owl crews favorite trail is Sungai Manik Teluk Intan, where the photo was taken. 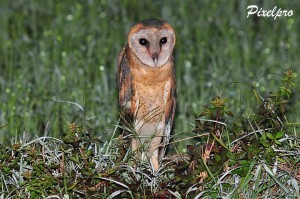 It is a great photo spots, perfect site and logical route to trail the owls. One of the best things about trail is that they are easy to reach and a great site to cater wildlife photographers. Wearing an orange shirt, Photographer Aizat Rosli, an active member of Pixel Pro. He was also present during the shooting of the ‘’EGRETS – THE MIGRATORY BIRDS. In here, I wanted to show and share few things that you didn’t know. After this, From the images itself, you have to admit that these creatures are really pretty cute and you can now relate how owl living in each place in order to survive. The shooting was planned ahead, bringing with them the right equiptment. 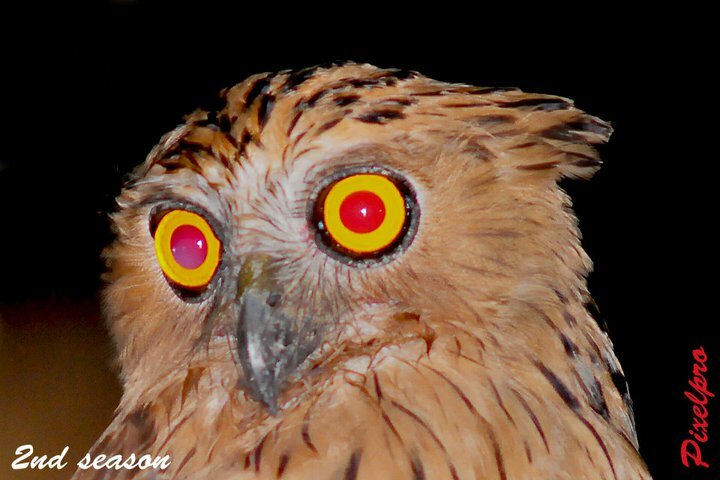 Just like the night birds, photographers were enjoying the night photographing the owls, bringing with them a goodnight flashlight. 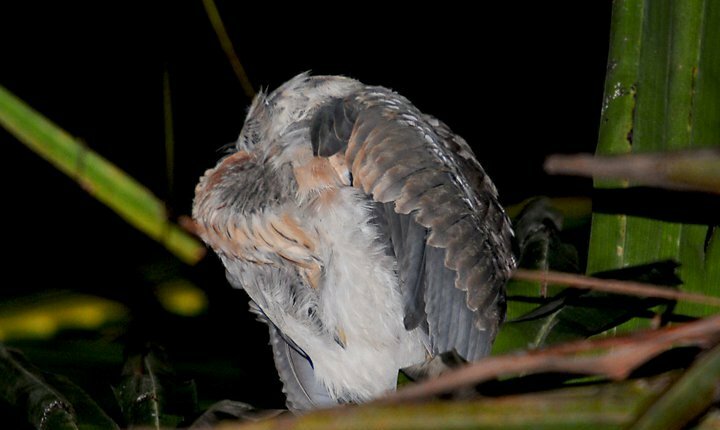 It’s not easy to photograph owls, you have to hunt the flight path and look for a good location to do it because owls are not tolerant of people. A good distance and being prepared will get you better images. To get a good snap can be predicted with a little observation just like these. 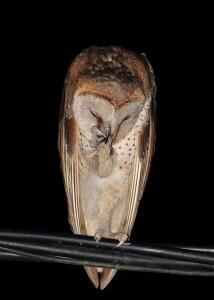 I guess, the distance occasionally shoot makes the owl less threatened. You can view the distance between the owl and the photographers here. This is the Barn owl. It has heart – shaped face and a straight forward eyes. What do you think? From the title itself,’’THE SILENT HUNTERS OF THE NIGHT’’. Who is the hunter? Is it the owl or the photographer? For me, It work both ways. 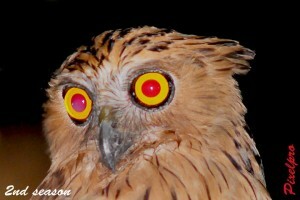 The owl hunts for food at night and the photographers hunts for the owl to shoot. This owl appeared to be very white, and it’s already common in most areas. 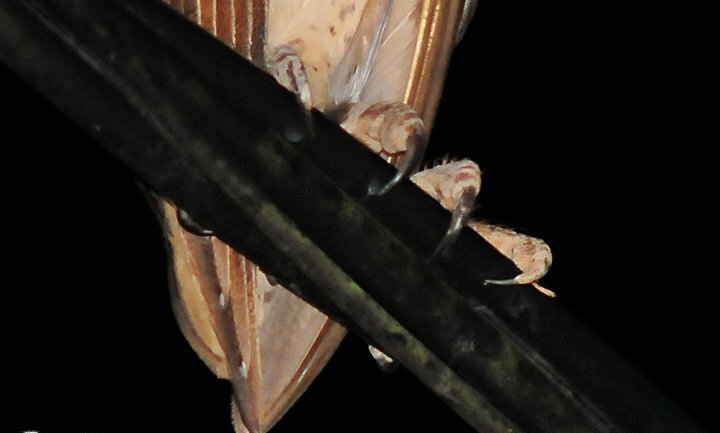 Observed the owl’s feet. Have you noticed the sharp talons? A body part like these contribute to their eating capability. An owl hunt for prey and have strong feet with curved talons. 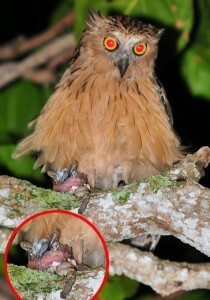 You can see the next images on how owl make use of their sharp talons. This is a natural habitat for them. 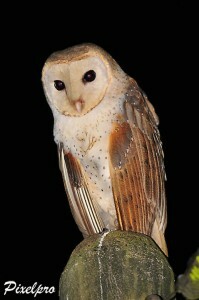 Most owls are nocturnal. It looks real and a true take. I’m showing you everything about these species, and you’ll learn a lot through looking at the pictures alone. This diminutive Little Owl is one of the most familiar owls of open countryside, often being spotted perched on a fence post or tree stump. 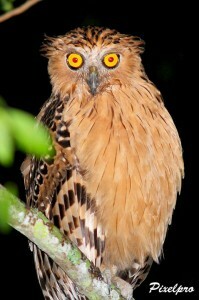 I’ve seen this kind of owl in our surroundings. This is probably the most common. I can even can tell the characteristics of owl living in a place like these. They have to adapt themselves to their habits to get food and sustain life. What do owls eat? Awesome! 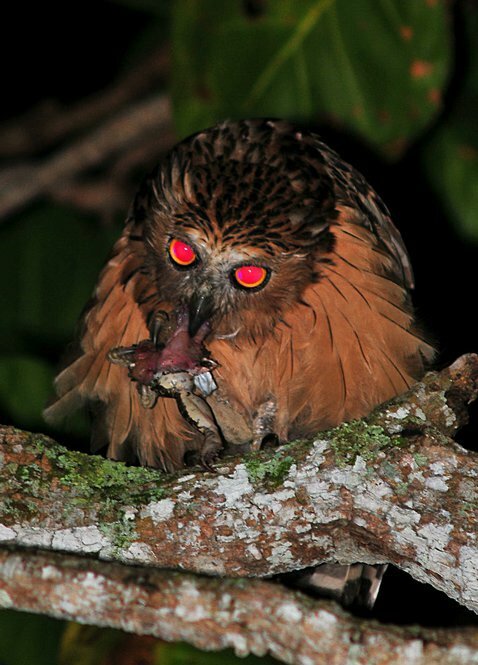 Owl can hunt successfully in the dark. It carries its prey up to a branch to eat. But, what was that? It’s a frog and it is still alive! 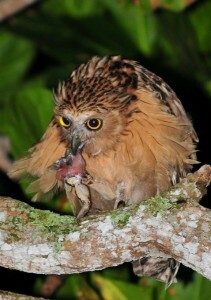 The owl hits the prey with its feet as shown in this photo. This is a very interesting shot and my major interest, to find out what they eat. 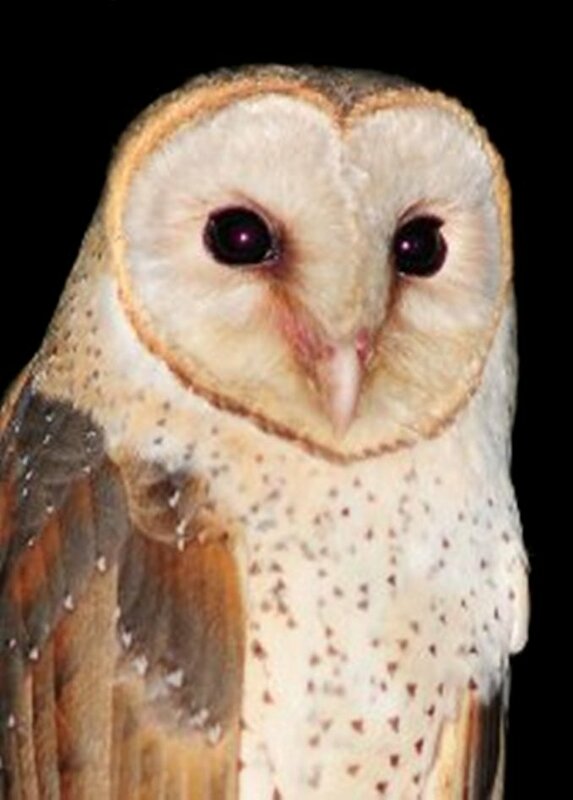 An owl is a bird of prey and they are predators too. Many owls are active only at night because of their keen senses of sight and hearing. The image will speaks for itself. I feel great to share my story and beautiful pictures with you. It’s my responsibility at the same time. To see the images alone is already learning from it. To see is to inform and will learn the truth about it. People have looked into the forest and seen the same kind of birds that we see today. It’s high time for you to make and share your time with them because this will take you a step closer to love the birds. Just like me, I wrote this as an’’ Expression of Love’’ to the birds and my contribution to wildlife. Let us join our hands, help and support my cause in protecting wildlife. If you and I will support each other then, We can do it better. Let birds be a part of your life. Someday, you’ll help lead and make world a better place for the animals. 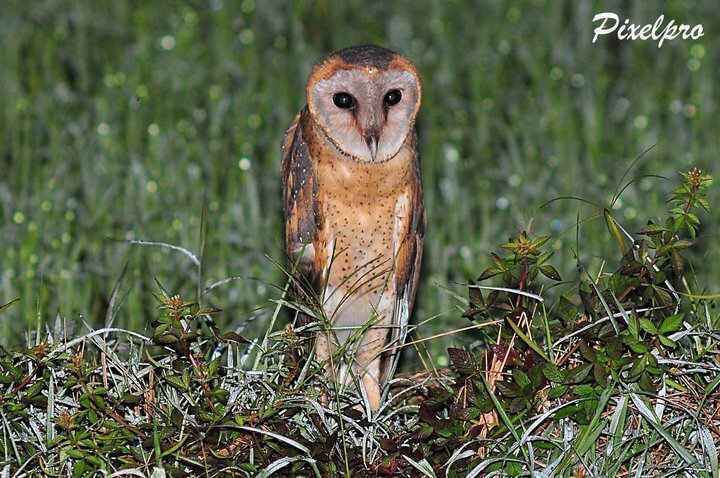 If you do not spend more time outside during the night to see the owl, try to take the chance to search. It is very safe to protect your inner fearful feelings. Much more wonderful to view it along over a cup of hot tea. I would like to thank Alex Chan of Pixel Pro Photography Malaysia for providing images and for the kind permission to reproduce all photos and to the 3 owl crews. 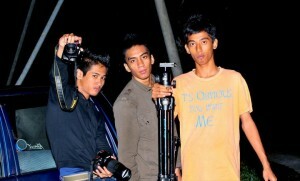 My good friends; Aizat Rosli, Fadhil Jumiran and Muhammed Omar. who took the good shots. Thank you very, very much. The best story of owl! where is this place? so scared to see the eyes owl but, i love your stories about it. 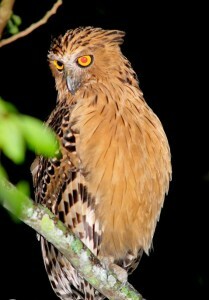 It was photographed in Malaysia by the Pixel Pro owl crews. . Thank you for loving this story. vIEW FOR MORE..
Of coiurse i will. Im already addicted to your website! I always visit this before my sleeping time. You are welcome.